The Canberra Taekwon-Do Academy proudly supports the Australian Defense Force. In 2015 on the 100th year Centenary of the Anzac The Canberra Taekwon-Do Academy proudly helped 37 returned veterans suffering from PTSD climb the Kokoda trail . We did this In the effort to help them converse with other sufferers and build friendship's that will help them cope with the day to day pressures of living with PTSD. Accompanied by Senator Jackie Lambie and Raiders great Jason Croker we aided the veterans climb the historic trail starting at Owers corner and walking through to Isurava. Taekwon-Do is not only widely regarded as the most powerful martial art, it is also renowned for its benefits in the areas of mental health and helping people build confidence. 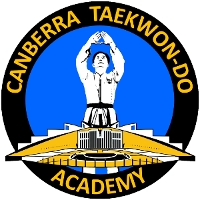 Canberra Taekwon-Do Academy is a proud supporter of Defense Force Members and offers Defense Force discounts to its members and families. Boosabum Ben is pictured far right with Jason Croker and Jackie Lambie to his left.